Why 2017 will see the rise of CAM in Cal Club! This past weekend was the inaugural Cal Club Autocross of 2017 and we saw a record turnout in the CAM class. 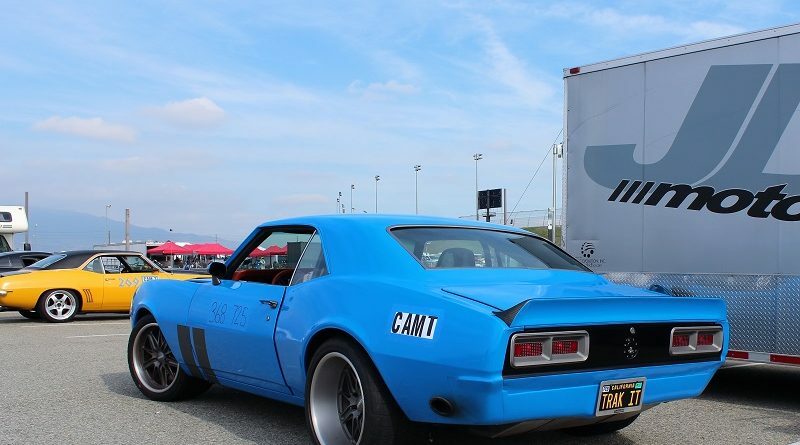 A total of 15 CAM drivers battled it out in CAM-C and CAM-T on Sunday. The weather was picture perfect and CAM was in full effect with a variety of American muscle cars and some very close competition in the CAM-T class. CAM-T saw the battle for first place yo-yo every single run with ranks changing throughout the heat. Jordan Priestley ultimately proved victorious codriving Michael Cuthbertson’s beautiful blue 68 Camaro (pictured above). Update: The February Cal Club event of 2017 (2nd event) saw a new record of 17 CAM cars turn out. 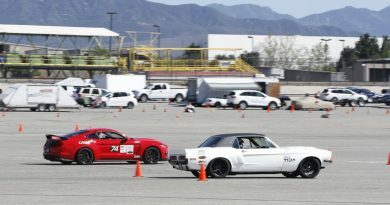 The SCCA Autocross class Classic American Muscle class (CAM) continues to gain popularity around the country. The Indy region pioneered CAM back in 2011 and the class was officially embraced across the SCCA regions in 2014. If you are wondering what CAM is, well the rules make the purpose of the class pretty clear. Rationale: The purpose of CAM is to attract automobile enthusiasts who are currently interested and/or participating in Goodguys®, Ultimate Street Car Association®, or other similar events for “classic” vehicles manufactured in North America by “The Big Three” based in the US – GM, Ford, and Chrysler (AMC is also included). These avid enthusiasts would largely be a new and different group to join us as SCCA® members and participants. 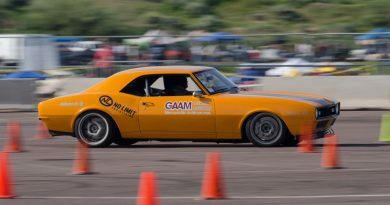 Regions are encouraged to offer this great recruitment tool using a single CAM class or more to encourage Classic American Muscle car enthusiasts to join the fun at your SCCA® Solo® events! Personally, I did my first ever autocross at GoodGuys in Del Mar in 2009. Also, I am an Ultimate Street Car Association competitor (USCA). In other words, the class was successful in drawing me and many others in. However, between 2009 and 2015 I never really quite got into autocross. I had a much stronger preference for road course driving and just didn’t understand the popularity of autocross. That all changed when I did my first SCCA autocross in 2015. It blew my mind as the course was much longer and the elements much more dynamic. Since then my appreciation for autocross has only grown! Yeah, yeah, but what about Cal Club CAM autocross in 2017? Cal Club CAM participation increased 400% in 2016 compared to 2015. While having a record turnout in January might be a bit of a surprise it wasn’t a complete shock. The pro touring movement that helped spawn the GoodGuys autocross and USCA competition continues to grow. More importantly, we just need to look at the growth in Cal Club CAM class in 2016. CAM participation at Cal Club increased 400% from 2015 to 2016. Top 5 reasons 2017 Cal Club CAM will rock. 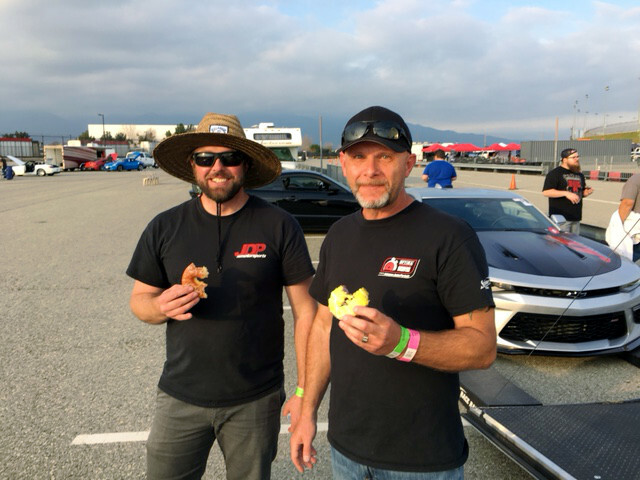 #5 AutoXandTrack has committed to providing free donuts whenever there are 10 or more CAM drivers signed up by Friday before the event. You heard that right, FREE DONUTS!! Some people say that the reason for the record turn out on Sunday was due to the free donuts. All the donuts were eaten but who knows the real reason? Who doesn’t like free donuts? #4 Racing against celebrities (1 Hotchkis Cup Grand Champion, 3 Hotchkis Cup Winners, and the CAM-C National Champ). 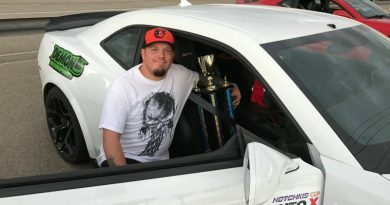 This is a bit tongue and cheek but it was the Hotchkis Cup Grand Champion Jordan Priestley who placed first in CAM-T in a borrowed car. #3 Year round autocross! We run at least one event every single month. This past Sunday (1/17/2017) saw perfect autocross weather. Temperatures were just right and with a little cloud cover the sun wasn’t overly intense and we had virtually no wind. #2 Cal Club will be running at El Toro aka Orange County Great Park (Run this exciting and historic venue before it disappears forever! – maybe this year?). #1 One of, if not the, friendliest region in the SCCA. 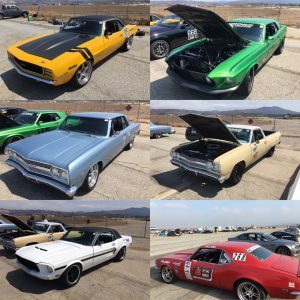 So dust off that muscle car and get your points card and we can make Autocross great again! There is a reason people come far and wide (including other states) to run with Cal Club! If you haven’t run with Cal Club before here are the Top 5 reasons to start! #5 Huge variety of course designs (video below is from January’s event). #4 Ability to buy X Runs that double the number of runs on Sunday with no extra work assignment. #3 Coaching from some of the fastest drivers in the country. #2 Course run times are almost always around 60 seconds and sometimes more. #1 Most Championship Sundays require less than a 4 hour time commitment. You get 3-8 runs and can still have most of your day to do something else. 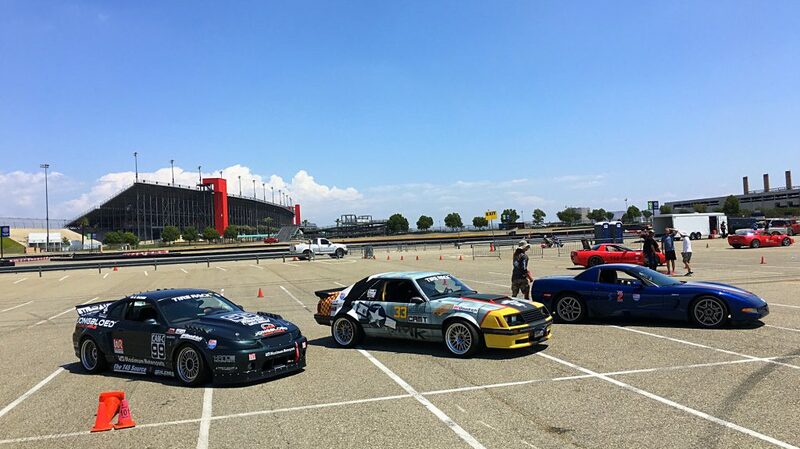 To sign up or learn more about Cal Club check out my SoCal Autocross Guide. If you live in SoCal and have a CAM car be sure to join the Cal Club CAM Facebook group.